How Can We Help You With Your Music? Sign up for the newsletter & get a Free e-Book! "Robin, Thanks for all the vocal help!" 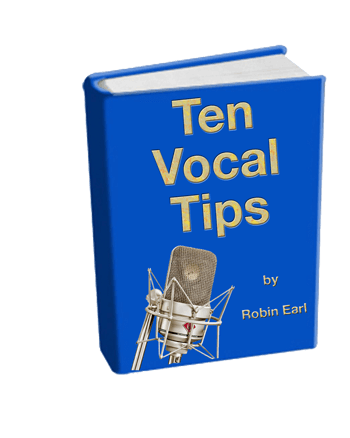 Robin is known globally for finding solutions to vocal issues quickly. Client’s credits: Disney, major label artists, HBO, the Tonight Show, Grammy noms, Colgate Country Showdown, X-Factor, and American Idol. Robin’s own vocals are featured on HBO, Disney, films, NBC, ABC, CDs. She coaches at our Nashville studio, by telephone and Skype. “The time I spent in vocal training with Robin was invaluable to me. 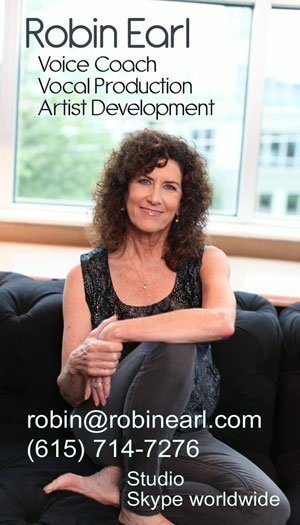 Her skills and personality, along with her ability to understand my instrument, helped lay the foundation for the rest of my career.” LynnMarie Five-time Grammy nominee. Patricia Leonard, noted author, speaker, business consultant, The Runway. “The lessons I’ve had with you have truly changed my songwriting life. People like my voice now. I can harmonize now when I never could before. It’s wild! Rebecca Olivier, NSAI writer, Minnesota. Dorothy Marcic, Performer/Playwright of “RESPECT”, now playing in 4 cities. “Robin’s Voice Coaching landed 4 #1 hits on Q-95 Country Michigan. Rodney “HotRod” Parker, Recording Artist & writer. Rock group signed to Tetragram Records: Oblivea/5th Oracle. Colgate Country Showdown winners: Nash Street / HotRod Parker. Tonight Show appearances: Ralph Friedrichen. The Voice audition finalists: Jim Wes, Kim Mont, Ben Kyle. “I can’t express enough how much I appreciate you…helping me through this!!! © 2019 Gary Earl Productions - Sync Music.